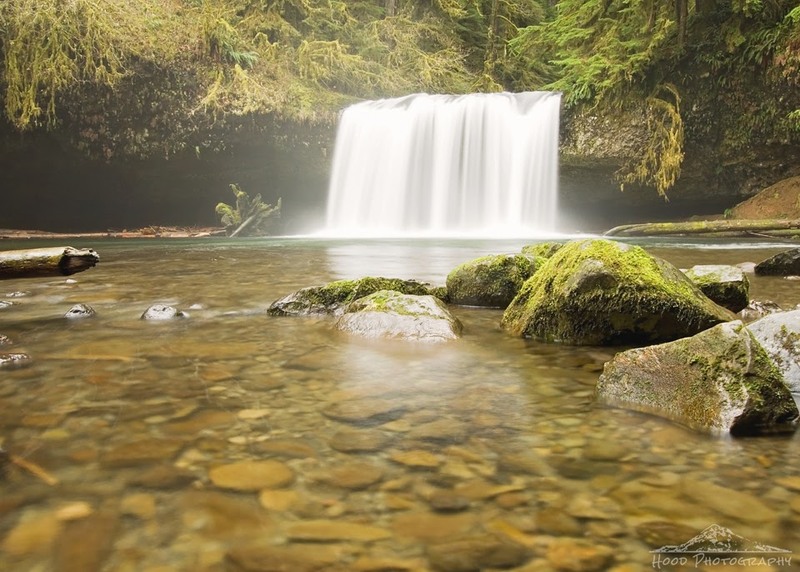 This is the first of two beautiful waterfalls on Butte Creek outside Scotts Mills, Oregon. The easy walk to the falls was especially enjoyable with the misty rain. It kept most people indoors, and this meant no one else was on the hike and we took in the waterfalls all by ourselves. It's such a pretty waterfall! That is an absolute stunning capture of the waterfall. Great composition and color. Magnificent shot! Love waterfalls and reflection! Yep - visited there for the first time last October. Pretty little falls, isn't it? You found a beautiful location for photography, and it has been well captured - great work! Like a stream of falling mist. So very lovely.